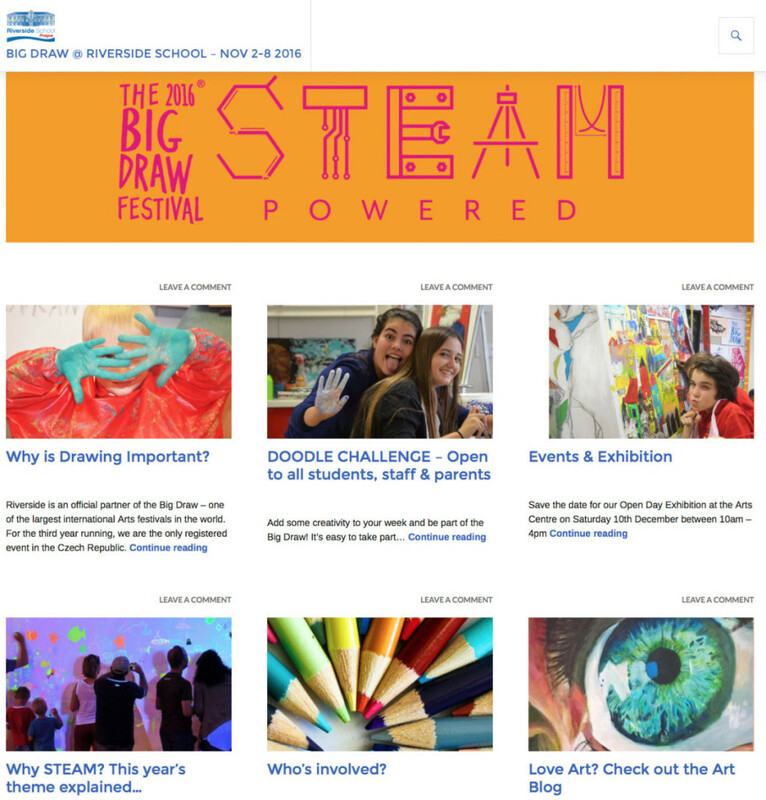 The Big Draw Festival is back at Riverside this year from Nov 2nd-8th! This is a high profile annual international Arts event and we are proud to be the only official Czech partner. Activities will take place across our schools and culminate in an Open Day/Exhibition at the Arts Centre, on Saturday 10th December, from 10am – 4pm. Creativity, visual literacy and innovation are proving to be vital 21st century skills, and our vision is to promote the importance of Drawing as a universally understood language for developing imagination, expression, problem solving, and communication. Taking inspiration from architecture, art, science, technology, invention and cultural discovery, our activities will explore the rich culture of the Czech Republic, whilst highlighting the relevance and value of the Arts alongside the subjects of Science, Technology, Engineering and Maths – a key focus of Riverside’s Arts for Life ethos. Whether you’re an expert artist, occasional doodler or have never picked up a pencil, we invite all students, staff and parents to take up the Doodle Challenge! All you need to get started is an A5 piece of paper and something to draw with. It’s easy to get involved – see our website below for details – and be part of what we hope is an exciting Riverside-wide art installation. View our official Big Draw link here, explore our event website bigdrawcz.wordpress.com for all updates & info, and we’d love if you could save the date for our December exhibition.